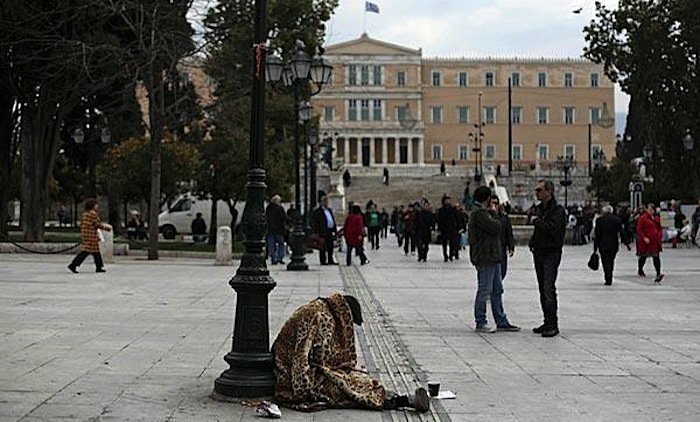 Poorer households in Greece are hit by the new measures required by creditors as four welfare allowances have been abolished. The new austerity measures included in the omnibus bill voted in Greek parliament on Thursday leave out the four benefits in order for fiscal adjustment to be achieved. Allowance for financial support of low-income families with school-age children (article 27 par. 3 law 3016/2002). According to the explanatory memorandum to the law on regulation that had been in force since 2002, the aim was to help these low-income families and school-age children to provide them with basic school supplies in order not to interrupt compulsory education. Allowance for new entrants to the labor market under the age of 29 in the event of layoff (Article 2 of Law 1545/1985). This is a special allowance given by the unemployment office (OAED) to unemployed young people up to 29 years of age who remained registered in OAED for one (1) year. Welfare allowance for unprotected children (Article 2 paragraph 3 of Law 4051/1960). The Fatherless Child Benefit Program aimed, in line with the 1960 provision, to foster families facing problems of objective or substantial lack of parental care in order not to dissolve and the children not to end up in institutions. Financial support for individuals who are in absolute poverty (article 1 par. 1 of the law 57/1973). The purpose of this welfare provision was to financially support people with the lowest incomes in the country. According to the no. 112/24/2017 Finance Ministry Report (p. 748 par.21), it is estimated that with the benefit cuts there will be savings of 8.8 million euros for 2017 and 11.8 million for 2018.